CHA: jillibean soup "monster stew"
ready for another jillibean soup project? the monster stew collection is an older one that i was asked to make a layout for. 8.5x11 isn't my normal size. in fact, the only time i have made layouts in this size, is for tradeshow time for jillibean soup. lol! but i'm really happy with how this one turned out. the collection is definately a little monster-ish and halloween-ish. but you can put a fun spin on the products and use them on everyday layout as well. i love the bright colors in this collection. i love tucking these cute sugar pins under other elements on my projects. you can find all the new collections and lots of projects and inspiration on the jillibean soup blog. i think it's time for some jillibean soup. i was asked to make a few cards with the new collections. i mixed some pattern papers from the blossom soup collection and the dutch mustard soup collection for this card. how cute are those little bicycles! i just had to add a little silver accent to the center of each wheel. for this card, i mixed some pattern papers from the dutch mustard soup collection and the chilled strawberry soup collection. keep your eye on the jillibean soup blog. they've shared all the new products and collections over the last few weeks. but i'm pretty sure they'll be posting from the show, and sharing lots of projects with the new product. making memories has come out with a new wedding collection, called "tie the knot". keep your eye on the making memories blog for the duration of the show. they're holding a virtual party, where they're giving lots of peeks into the show, and doing lots of giveaways. how about some new making memories. they have a fun new spring collection, called "dilly dally". this is a 6x6 layout, that i created for the booth. they have us do a lot of our samples in the smaller size. i love all the fun butterfly die cuts in this collection. the "hellow sunshine" on this layout, and the "laugh" on the first one above, are from a sheet of preforated pattern paper. it's filled with little title blocks and journaling blocks. make sure and check out the making memories blog over the next few days, where they are having all sort of peeks at the show and lots of giveaways. next up, is another new bella blvd collection. this one is called "family dynamix". it's full of bright and fun colors. geared towards "family", but lots of versitle patterns that can be used for anything. one of my favorite pieces from the new collections, is the quandrants paper. four 6x6 blocks, each a different pattern. these are like miniature versions of the regular papers. i used a few of the quadrants on this layout. i'm in LOVE with their new chipboard alphas. the colors choices are gorgeous. the "game night" paper has all these playing cards on it. fun to cut out a few, and tuck them on your project. their stickers sheets and chipboard sets have so many great choices to mix and match together. the smaller scaled prints on the quandrant paper, are perfect for card making. this is a mini card, that is just four inches square. i took apart a few of their flowers blooms, and arranged the petals to fit under my pattern paper circles. keep your eye on the bella blvd blog. they're sharing photos of the show, the entire collections, and lots of projects using them. time for another bella blvd share. i created this layout with an older collection, called "sunny happy skies". this is one collection i hadn't had a chance to use much yet. i wish i had dug into it sooner, because it's super cute! i cut this cute banner from the paper with the title blocks and borders on it. i cut it into two pieces, and adhered them using mini pop dots. like my machine stitching? 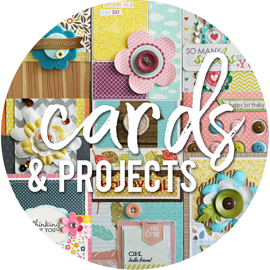 i've become totally addicted to it, and had so much fun using in on all my CHA projects. this tree had a colored heart on it, and i can't remember now what color it was. maybe red. it didn't match the papers i had picked out, so i cut the heart out and stuck a scrap piece of pink pattern paper behind the tree. after i pop dotted the tree, it has a fun little peek-a-boo effect. keep checking the bella blvd blog for lots more photos of the show, peeks at more projects, and to see the entire collections. i was thrilled when stephanie at bella blvd asked me to work on some samples for their booth at CHA. 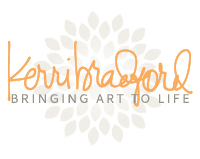 i'm a huge fan of their products, and love working with them. and when i got the box with the new collections, i couldn't wait to get started. this is the new "mr boy" collection. their cardstock stickers are a nice, heavy thickness. but i still love to stick my stickers onto scraps of cardstock, and then cut them out. that way, i can add them to my layouts using pop dots, to give them a little lift. this truck paper is so cute for little boys. nikolas was always carrying around cars and trucks. this paper was made for him. keep your eye on the bella blvd blog, where they will be showing the entire collections and lots of other projects using them. i know i'm slacking off the blogging this week. but it's with good reason. in the last three weeks, i have completed 29 projects. let me say that again. twenty-nine, which is just about thirty. lol! it's been crazy busy here, with projects all over the place. a lot of them are for CHA, some are for design team stuff, and some are for creating keepsakes. i'm sort of all over the place, with what i've been working on. and yet, for the first time in ages, i have been totally on top of what i have going on. even getting things finished and turned in early, which is very unusual for me. while i havn't been able to share anything i've been working on, that will change this weekend. i have nine posts, with new layouts and projects, all typed up and ready to go. i'm spreading them out over the 4 days of the show. that means two posts a day will go up, and one day will have three posts. i'm very proud of the projects that i made for the show, and they're some of my favorites in a long time. so check back in, starting saturday, for new layouts and projects from making memories, jillibean soup, and bella blvd. and keep your eye on all the blogs this weekend. i know that making memories always has a ton of giveaways and updates on the show. i'm going computer-less for my four day trip, so i'll have a lot of catching up to do when i get back. i wanted to share a layout of mine from the february issue of creating keepsakes. this was part of the "new scrap beginnings" article, which was all about some fun ways to boost your creativity. as seen in the February 2011 issue of Creating Keepsakes magazine. copyright creative crafts group. posted with prior permission from the publisher. these gorgeous photos were taken by the amazingly talented megan cristello, a photographer friend from florida. this is her beautiful oldest daughter, raygan. 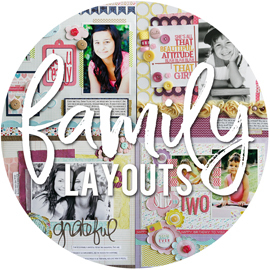 some of you might remember some other layouts i have created, using megan's photos of all four of her kids. i've done them all for fun, and then sent them to her to keep. sometimes, just having a fresh face on your scraptable, is just the creative boost you need. well, i have had layouts published with megan's three youngest kids. the two little ones have been on a few published layouts, one of which even landed on the cover of creating keepsakes once. but raygan hadn't made it yet. and being the mom of girls, i know that it's easy to be a little jealous and unsure of yourself sometimes. so when i got this assignment, i asked megan to send me some photos of raygan, so that i could give her her moment in the magazine. i still remember how excited and grateful raygan was, when i showed her a peek at my finished layout. i was secretly more nervous to get her approval, than the magazine. lol! i had so many great photos to choose from, and honestly, i wanted to use them all. i started my two page layout, with seven 4x6 photos. i laid four vertical photos going across the upper part of the pages, and then three horizontal photos going up and down the second page. i had picked out that strip of pattern paper, that had all the colors from raygan's outfit. lots of earth tones. browns, yellows, greens, oranges, and turquoise. i was digging around for some embellishments. something to really get the layout going. i've mentioned that i always start my layouts with white cardstock (which does get changed out to colors, or covered up sometimes). then it's photos and pattern paper. but then i usually look for something cool, to really give the layout it's direction. this time, it was this chipboard filmstrip, from an older "mix it up" CK kit of the month. i love how it tied into the vintage camera that raygan had in her photos. and it ended up fitting perfectly, under three of the 4x6 photos. which is why i ended up taking one photo off the layout. once i knew i was using the filmstrip, i moved my polka dot pattern paper strip above the vertical photos, instead of below them. i found a coordinating orange pattern paper to go below the filmstrip. a woodgrain pattern paper to go along the photos on the second page. and a fun text pattern paper to go along the side of the first page. i had picked out some puffy letter stickers for my title. i knew i wanted to find some turquoise ribbon or trim to add to my layout. oddly enough, i didn't have much ribbon in that color. and i have a LOT of ribbon. then i remembered this bloomer trim by webster's pages. this is one of those products that i sort of consider "too special to use". which is crazy, i know. i've gotten a lot better about that nowdays, and i don't hold on to much anymore. so glad i finally pulled this out to use, because it was perfect. and it added a ton of extra weight to that side of the layout. without this bulkier trim, the page was feeling a little flat. for the filmstrip, i was thinking i would back each rectangle with some colored cardstock. i cut a few pieces, and tried it out. but it wasn't quite working for me. and i also had no clue what else i would put in each spot. so i took the colored cardstock out, and adhered the filmstrip directly to the white cardstock background. and then i dug through my paper flowers and found flowers in all the same colors that were in the pattern papers and photos. once i had those picked out, i found some old metal flowers and a few fun buttons. i simply glue dotted them all down. nothing complicated. and here's the final layout. the first page. and the second page. all in all, a very simple layout. totally do-able in 50 minutes. believe me, this really did only take me that long. except maybe the journaling. that always ends up taking me longer. lol! i seriously love this filmstrip. and filled up with flowers and buttons, it's even more cool. it would also be cool to put photos inside. which is probably the most logical choice for it. i shouldn't say we're headed back to the soccer field. because we never really stopped going. lol! the regular season ended back in november. and then sarah went straight into all-star tryouts. it's not actually called "all-stars". it goes by another name. but that's really what it comes down too, and makes more sense for those of you not in this area, who wouldn't know what the other name stood for. sixteen of the best players for under-12 girls were chosen to be on the team, and play against other top players in the surrounding cities. she had a great team last season, and quite a few of the girls ended up making this team too. so it's great to see them all still playing together on the field. they've been practicing since the beginning of december. on freezing cold nights, in the fog, under the lights. and tomorrow, they have their first two games. in some warmer temps, hopefully some sunshine, and during the day. i think the parents will be more excited about that. lol! it's a short, six weeks of games. and i hope the girls just go out there and have fun, and play the best game they can. and their coach? well, that would be joe. it wasn't necessarily his intention to coach this team. but there was a spot to fill, so he stepped up and committed his time to these girls. which i think is awesome. he's a great coach, and so good with the girls. he's got lots of fabulous parents helping out when needed, and an experienced assistant coach as well. and i should add that alyssa was going to try out for all-stars too, and i have a feeling she would have made it. but she wanted to try out for high school soccer, and knew it would conflict. she's in the middle of their conditioning period right now, and has tryouts in a few weeks. wishing her all the luck in the world! i want to thank you all for the great organizing tips for the giveaway. i loved reading through them all. i would be thinking "yep, i do it that way too", or "hmmm, hadn't thought about that". lol! so, onto the winner of the organized and insired scrapbooker idea book, from creating keepsakes. my random number generator thingie, choose #45. congratuations to misty! and it just so happens, that i agree with everything she suggested. that's exactly how i roll too. i intended to do another organizing post this week. but i never quite got around to taking any photos of anything having to do with organization. so, that will have to wait. i decided to go with the two page theme that is going on over on the pebbles blog this week. i just recently created quite a few new two page layouts, with MUCH older photos. the photos on these two layouts were from 2002. look how little the girls are. and the two blonde girlies were my very first daycare kiddos. our two families went camping together for a few days, and these photos were from that trip. i had actually started some layouts with these photos, years ago. so long ago, that the layouts were in creative memories albums. which i havn't used in about 8 years, at least. i had trimmed the photos, including cropping some into ovals and circles. and they were adhered to the white pages of the album, with a few scrap pieces of pattern paper scattered about. that's all i had done. i LOVE finding layouts like those, with good photos, that remind me of great times. this layout has all my favorite photos from the campsite. and when i do find photos like these, i love to get reprints made (so that they're a bit lighter), and start fresh with new layouts. i kept these layouts really simple. so simple, that they would take no more than 30-45 minutes to create. i started by arranging the photos, trimming little bits here and there, until they fit into a nice collage. this is sort of the same idea i used when i created my pebbles layout i shared on tuesday. once the photos were arranged the way i wanted them, i cut strips and blocks of pattern paper to fill up the rest of the pages. i used the october afternoon campfire collection for all my papers. i added a chipboard title, and some letter stickers for the date. the only other thing i really did on this layout, was to add these pattern paper covered chipboard circles. i used the same pattern paper for each section i was doing, and punched circles from both the paper and some extra chipboard. i adhered them together, and then inked the edges with some brown ink. just a really simple way to add a little something to your layout. this layout is about our "beach". honestly, it wasn't really a beach. more of a spot down by the edge of the river. with a lot of dirt and mud. but to the girls, it was all the beach they needed. this layout had a lot more photos. i started with even more, but managed to dwindle them down to these twelve. a lot of these photos were taken from farther away, so i had a lot more room to crop them down. almost all the products on this layout are from the little yellow bicycle boardwalk collection (except the title letters). which is one way to almost guarantee yourself a 30-45 minute layout. i used two sheets of pattern paper, both cut into a smaller strip and a larger strip. a canvas border, cut into 2 pieces. some 3 dimensional stickers, regular paper stickers, chipboard stickers, and some word strip stickers. nine of my photos were cropped down to 3.5" squares. i did adhere a few of these with pop dots, just to add some interest to the pages. i also used pop dots on the canvas border pieces. it make it really easy to tuck the stickers under the waves of the border piece. i have learned that not every page has to take forever to plan or put together. some of my most simple layouts, end up being some of my favorites. it might be because the simple design can often let the photos and the story stand out more. excuse the mess that you see above. this is a rather neat version, of what my scraproom has looked like the last few weeks. there is a TON of creativeness going on in there, with CHA stuff :) anyways. a couple of months ago, i moved my desk over in my scraproom. it had been in the middle of the room, and i sat with my back to the window. it was a tight fit, moving around that desk. so i finally tried turning it to the side, so that it comes out from the window. i LOVE it. edited to add: i've gotten a ton of emails in the last day about my desk. so i thought i would share where i got it. i ordered it online from target, and you can see the info HERE. the bonus to moving the desk, is that it freed up a little bit of wall space. my two main walls are taken up with my ikea expedit shelves. one wall has a closet. and the other is mostly all window. so even just the tiniest amount of extra wall space was huge to me. i wanted something that wasn't too high, since the window is pretty low. these storage cubes ended up working perfectly. i picked up four of them, and spent forever putting them together. seriously. they took forever and a day to assemble. i really don't have that many drawers in my scraproom. it's more baskets, bins, and jars. so the drawers were really appealing to me. my first thought was to make this sort of a "techniquey" area. a spot where i could keep all things technique related. all the messy stuff. i ended up working some other things in here too, since these drawers ended up holding much more than i thought they would. i thought i would let you peek into my storage cubes, to see how i ended up organizing them. these are from left to right, from top to bottom. what a great start. an empty drawer. lol! i still can't decide what i want to put in there. in the drawer on the right, i have blank cards and some envelopes. on the left, i have more envelopes. and on the right, are all my finished cards. i have never had a good spot to store the cards i create, and they fit perfect in these drawers. the drawer on the left holds all my misting sprays. i know what you're thinking. "we've never seen you mist anything". lol! i'm getting there people. trust me. in the right drawer, i have all my bottles of glitter and stickles. i have this huge adversion to glitter, and yet i own a huge amount of it. it's because it's so stinkin pretty! the drawer on the left holds all my pop dots. i keep telling you all that i'm addicted to pop dots, and this proves it! the drawer on the right holds a portion of my adhesive. i actually have 2 large drawers in the closet that have adhesive too. you can never have enough. and yet, oddly enough, i'm always running out of glue dots. go figure. this drawer has some roller stamps from stampin up, magnetic stamps from making memories, and some other random stamps. honestly, i can't remember the last time i have used any of these. i ended up with three drawers on ink pads. so i'm really not sure why i stuffed so much in this drawer, when the other two aren't that full. this holds my distressing inks, acrylic blocks, super old tiny bazzill inks, and some other random ink pads. this drawer holds my embossing powders, versamark ink, and heat tools. another drawer of ink pads. this drawer holds all my chalk. some of this is really old chalk, and some is newer pebbles chalk. i have the little pompom things to apply chalk, some chalking templates, and some colored pencils. this last drawer holds all my stampin up ink pads. on the left side of this drawer, is a little clear plastic divided tray. i found these at target, and have them in a few drawers. an easy way to keep the smaller things in the drawer from getting lost. on top of the storage cubes, i have this wicker basket. i have been tossing newer embellishments and goodies in there, that i have received, and don't want to forget about. right now, i have a lot of studio calico, jenni bowlin, pink paislee, and october afternoon in there. the nice thing, is that i HAVE been using this stuff. way more often than if i had tucked it all away on my expedit shelves. i also have one of the making memories carousel's. the one on my desk holds all my tools and some adhesives. this one is more for random embellishments that just don't have a home yet. or havn't made it to where they belong. or things i want to use, and not forget about. just a random mix of product. and there you have it. most of the stuff in these drawers had been in my closet. so i didn't always think to use it all. i'm really liking having things out. even though they're still tucked in drawers, they come to mind a lot more now and i love that i'm using them again. it's "make mine a double" week on the pebbles blog this week. it's all about two page layouts. i decided to pull out a bunch of photos of alyssa and sarah, playing the Wii and their nintendo's. these are all from 2009. they were taken at all different times during the year. and at some point, i realized how many photos like this i had. i think it's fun to pull photos from different months, or even years, and tie them together onto a layout. i started with all 4x6 photos, and just trimmed them until they fit into a fun collage. i added in some blocks of pattern paper to fill in the spaces, so that both sides of the layout were balanced. i used pattern paper from a few different pebbles collections, and also used some solid cardstock from the backsides of the pattern paper. then i worked on adding things to the blocks of paper. my journaling went in that bottom square of green cardstock. i dug out some american crafts chipboard frames to mix into my accent clusters. i added some paper flowers, chipboard flowers, brads, candy dots, and folded ribbon strips. i used some letter stickers for my title, along the bottom. when i trimmed my photos, i went a little short on the second page of my spread. so i cut a thin strip of green cardstock, and used a border punch along it. just enough to fill in that small gap along the edge. make sure and check out the pebbles blog all this week, to see what other fun two page layouts the other design team girl's have created. and just a head's up. they will be revealing the new collections on the blog, starting next monday. i got a small peek at them today, and it's some fabulous stuff! creating keepsakes has a new book out right now, called the organized & inspired scrapbooker. and let me tell you, it's a gorgeous book! i'm a huge sucker for organization. and organizing scrapbooking supplies is one of my favorite things to organize. it's also a necessity. it's so easy to become overwhelmed and buried in pattern paper, stickers, and photos. and all the other goodies that we use to preserve our memories. which is why i feel it's so important to stay organized, and come up with a plan for what works for you and the scrap space that you're working with. and this book is full of great ideas and tips. it originally came out a few years ago, and was a hardcover book. just in case a few of you think it might look a bit familiar ;) there are 176 pages, filled with ideas. everything from finding your organizing style, organizing your supplies and tools, finding a system for your photo storage, organizing memorabilia, and so much more. and lots of photos of all different kinds of scraproom and studios. here's a peek into a few pages from the book. if you're thinking about ordering a copy of this gorgeous book, i have a coupon code to share with you. it's the same one that i mentioned last week, for the digital book. just use coupon code DS25DT, to get free shipping on orders of $25 or more (expires 2/11/11). and creating keepsakes has provided me with a copy of the organized and inspired scrapbooker to give away to one lucky blog reader. all you need to do, is leave me a comment, telling me one simple organizing tip. i'll leave comments open until thursday night, and will announce a winner on friday morning. and to go along with this theme, i also wanted to share that it is organization week (click to see what they have planned for the week) over on the CK editors blog, as well as the CK club site. check back in each day to see what they have going on. today, on the CK blog, you'll find all sorts of tips and ideas for storing scrapbooking tools. i think i even spotted a few storage tips from my own scraproom ;) i have a few storage and organization posts planned for this week too. first up, i had a layout up on the pebbles blog yesterday. a pretty simple layout, with super old photos of the girls. Hybrid scrapper..although I am really loving the digital world these days!! there have been a few peeks on the jillibean soup blog this week. they have shared spotted owl soup, blossom soup, and dutch mustard soup (giveaway open until monday morning). found a little peek on the bella blvd blog yesterday, sharing a fun look at the family dynamix collection (giveaway open until monday morning). i created these framed flower art projects about 6 months ago for a tutorial on little light studio. it never quite made it up onto the site, before kayla aimee delivered her precious baby girl at just 26 weeks. she's been devoting her every second to helping her daughter fight for her life. it's an amazing story to follow, and things are looking so good for them right now. i figured i would go ahead and share my little tutorial here on my blog. i have had these framed pieces in the girls bathroom for years. eight years, to be exact. it was time for a change. they're cute. but the colors have gotten brighter and funner in their bathroom, as they have gotten older. and i wanted something to match that. the frames are good, solid, wood frames. there are four frames in the set, and they are about 11 inches x 11 inches in size. i picked out some pattern papers that match the colors in the girls bathroom. the colors here look a little light. they're actually nice, bright shades of turquoise, orange, pink, and green. i choose pretty basic patterns, that wouldn't stand out all that much. i also dug out these older chipboard flowers from fancy pants. they're large flowers, that were a perfect fit for the inside part of each frame. if you have a regular frame, you would simply open up the backing, and take out the matboard that comes in the frame. these were prints that i had purchased at a store years ago, so they had a paper backing on the frames. i sliced into the paper, and peeled it all off from the edges of the frame. then i got to the staples that hold the matboard in place. i did my best to lift them up carefully, so that i would be able to use them to hold my finished project in place when i was done. next, i picked out four different acrylic paints. one to match each of the patterned papers. i used a foam brush to paint the chipboard flowers. i didn't spend too much time on this. didn't even paint the edges of the flower petals. two coats of paint gave good coverage. next up, i choose four colors of embroidery floss, to match the chipboard flowers. one shade lighter or darker than your paint works best. not sure why i keep showing three of the sets. there are four total. lol! then i simply wrapped the floss around the flower petals, over and over. no need to overthink it, or make it too perfect. just randomly wrap, back and forth, along each petal. until it looks good to your eye. then move on to the next petal. when i was finished, i just taped the end of the floss to the back of the flower. looking back at this pink flower, i should have wrapped it around that center part as well. same with the turquoise flower. oh well. i think the green flower was my favorite. after i had wrapped each of the flowers with the floss, i adhered them to the coordinating matboard. i used 3-D squishy pop dots to stick them down, since they're super strong, and sort of mold over all the string to give good coverage. then i cleaned the glass on each frame, added the matboard, and secured them with the staples in the back of the frame. the girls bathroom is terrible for taking photos. and small. i tried, but i just couldn't get a good photo of these in the bathroom. but trust me, they're super cute in there. i hung them just like you see here. two on top, and two on the bottom. but i spaced them all about an inch apart. this was a pretty effortless and fun project. i love when i can re-purpose things around my house, and give them new life. i figured since christmas was almost three weeks ago, i should maybe post a few photos. we celebrated with my family on christmas day, at my parent's house. and then with joe's family, the following day, at our house. these photos are all from my family's celebration. two things that i have to mention about these photos. i know i shared a few christmas layouts, in the weeks before the holiday. and i know i mentioned a few times, about people wearing colors that don't coordinate, or aren't christmas colors. which then causes me to use black and white photos on my layouts. well, i'm not sure if some of the family happen to read my little blog. but most everyone wore christmas colors. although sarah's wearing her blue hoodie up there, she did have on the proper colors underneath. i know, that was random. the other thing, is that my photos look a heck of a lot sharper and have a richer color on my computer. typepad is messing with them on here, and i'm too lazy to figure it out. just imagine them with a little more "pop" :) onto the quick recap. my cousin brad and his wife issa. who are parents to the adorable zachary, who we're lucky enough to have in our daycare. we all adore him. alyssa, giving me her trademark "cheesy" smile, as we call it. anytime i turn the camera on her, this is what she does. oh wait. i think sarah's smile is even cheesier. lol! and she always wears the santa hat, when we're passing out gifts. my aunt sandy, who is zachary's grandma. and seriously? how cute does he look here? the way he has his hands folded together, and his feet crossed. precious. alyssa and my mom. her grandma. although i'm sure you put that one together. my dad. that's a total "flash" photo. sorry, dad. lol! this little dude did so great all day. just wandered all over the place, picking up things to carry around until he found something better. sarah and joe. i have to mention that he got this sweater on christmas morning. when he saw the green, he said "is this my new christmas sweater?". then he opened up a brown long sleeved shirt, and said "this must be my thanksgiving shirt". he says things like that, because i always pick out his shirts for holidays. lol! i'm pretty sure these slippers were one of alyssa's favorite gifts. along with the matching pajama pants. the girls both got a few sets, and wear them as soon as they get home from school. my brother scott, and his wife kathy. kathy's mom was also with us that day, but i can't find a photo of her. my parents got this good electric toothbrush set for the girls. the first night they used it, sarah put the toothpaste on and started it up. and the toothpaste flew right off the brush. it was pretty funny. always turn it on IN your mouth. can't forget my parents cocker spaniel, jenny. sadly, alyssa is super allergic to dogs. so she usually has a hard time at my parents, no matter how much we love jenny. but she tried taking some new allergy medicine, and it seemed to work pretty well. only downside, is that she was super, duper tired all day. just wasn't herself. so she spent a lot of time reading. no idea what this was about. but it cracks me up. lol! and our last minute attempt at a familiy photo, before we left. none of them were fully in focus. sorry sarah, but you're a little blurry here. that's about all i have photo-wise. it was a lovely christmas. there was great food, yummy desserts, gifts galore, and good conversation. what more could we ask for. creating keepsakes has a new special issue out, called the best of digital scrapbooking. this new special issue is a collection of the best tutorials from digital scrapbooking magazine. there are sections on scrapbooking digitally, organizing your files, perking up your photography, digitally scrapbooking your keepsakes, digital layouts with dimension, artistic techniques for your pages, and other tips and commonly used terms. want to see a few of the ideas you'll find inside the pages of this issue? i have a coupon code to share, if you're looking to order a copy. use DS25DT, to receive free shipping on orders of $25 or more in the scrap & paper shop. creating keepsakes has generously offered a free copy to one of my blog readers. all you need to do is leave a comment. tell me if you are a digital scrapper, are thinking about trying digital scrapbooking, or are loyal to your paper and glue. lol! comments are open until friday night, and i'll announce a winner on saturday morning. i'm guest blogging over on the creating keepsakes blog today. did you know that CK has papercrafting kits now? well, i had a chance to play with the new everyday moments mini album kit. not to make a mini album, but to create a layout and a card. you can check it all out on the CK blog, and also enter for your chance to win one of two kits they are going to give away. a few nights ago, on facebook, a fellow scrapper suggested that i do a tutorial-of-sorts on photographing layouts. i thought it was a great idea. i have been asked quite a few times on tips and suggestions for getting great photos of layouts and projects. so, i thought i would show you how i take photos of my layouts. and then link you to a few friends of mine that have shared their ways, as well. since my way isn't necessarily the right way. we had a super foggy and dreary day today. and i will tell you this. i can never get a decent shot of my layouts when it's dark and dreary. i'm always chatting with fellow designers and hearing "i'm waiting for the sun to take pics of my finished projects", "it's raining today, so i can't get pics of my project", "crud. i'm so last minute on this project, and now i don't have any sun left in my day to get a photo of it". lol! natural sunlight is key to a good photo. luckily, the sun came out in full force for about 15 minutes this afternoon. just long enough for me to grab a layout, and take a few shots for this post. i always take photos of my projects in my scraproom. not because it's my scraproom. but because it's the one room in the house with good natural light. i have this large window at the front of the house, and i always have my layouts just to the side of this window, so that the lighting falls nicely on the layout. i crack open the blinds to let in as much sun as i can, without casting any shadows. i also have this smaller window, on the side wall of the room. i also open these blinds, to let in even more light. i use the thick chipboard piece to back my layout, so that it stands up straight. and i prop the chipboard and layout up against the jar of buttons. i get it as straight up and down, as i possibly can. if it's tilted back at all, against the jar, then you'll get a warped look to your layout. you want it as straight as possible. i bring my chair around to the other side of the desk, and as close to the window as i can get. i angle the layout, so that the sunlight from the front window is hitting the layout, but not causing any glares or anything. and i try not to place my layout in front of the smaller window. if that window is behind my layout, it messes with the lighting. then i zoom in with my lens, until i get a shot that looks pretty much like this one here. i use my 28-135mm lens, since it's my everyday lens on my camera. you want to shoot straight on to the layout. not looking down, or tilting the lens down. i usually sink down into my chair, so that i'm at eye level with the layout. do your best to get it straight, so that the layout isn't tilted to the left or right either. although if it is a little crooked, you can adjust that in photoshop. and don't just take one photo. take about 6-8 photos. if never fails, that only one of them will be totally in focus and straight. lol! better to have choices, then to have to go back and re-shoot the layout. this photo above is straight out of the camera. it's a little on the dark side, compared to what my layout looks like in real life. that's when i go into photoshop and adjust it to look as close to my real layout as possible. i usually just need to do a "screen" layer, to lighten it up. although sometimes, the colors are a little dull as well. so i will adjust my coloring, if needed. i sharpen the layout, and then i'm ready to crop it. this shows a screen shot that i took in photoshop. you see those little marching ant lines around the layout? that's where i'm cropping. personally, i leave a little space around the edges of my layouts. some people prefer to crop all the way to the edge of the layout, with nothing else showing. just personal preference. this shows a screen shot of my final crop. i then resize it for the web. i usually do at least 9x9 (or up to 12x12), at 72 dpi. and here is what you would see here on my blog, or in my galleries. for detail shots, i just lay my layout right down on my cutting mats on the desk. nothing fancy. the difference in the detail shots, is that angles are good, and i tilt the lens like crazy. get down low, get at an angle, and tilt the lens to get a decent amount of that section of the layout as you can. this also helps show the textures, and dimension on your layout. then i zoom in and take the shots. once again, i take several shots so that i have choices. and so that my chances improve for getting a shot that's in focus. this shot here was not cropped at all. just lightened up a little. that's pretty much it. i stick to this same spot in my scraproom, usually at the same time of day. because i know it works. one think i should add. if i have a two page layout to photograph, i do the same steps. except i move my white embellishment box over from the side of my desk (you can kind of see it, in that first photo of my room). i use two pieces of thick chipboard, and prop them up up against that. the box is wide enough, that it supports both pages together. i photograph them together, side by side. and then i do each of the pages seperately. and because my way isn't the only way. i thought i would pass on these links, to a few friends of mine that do it a little differently. in case their ideas work better for you. lynn ghahary did a tutorial on how she photographs her layout. she takes her photos in the bathroom, of all places. you can see her post HERE. 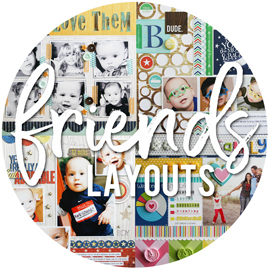 maggie holmes did a great tutorial on how she photographs her layouts, on the studio calico blog a while back. check out THIS blog post of her's, where you will find the link to the tutorial. have you all gotten your january 2011 issue of creating keepsakes yet? i'm so excited for all the great things that they have planned for the magazine this year. and i think the january issue was a fantastic start to the new year. as seen in the January 2011 issue of Creating Keepsakes magazine. copyright creative crafts group. posted with prior permission from the publisher. when i work with older photos from my film days, for assignments, i will usually dig out the negatives and get reprints made of them. i have three huge binders full of my negatives, all organized by date. so it's easy enough for me to find the ones i need. and most of the time, when i get reprints made, the photos turn out a lot lighter than my originals. which is nice. i used lots of the design shop 3-d stickers, from making memories. the felt cupcake, the cute little banner, the cupcake tower, and the chipboard accent on the second page. all easy to use stickers. i created confetti for my layout, using a regular hole punch and a small circle punch. i picked out a few colors of cardstock, that matched my strip of pattern paper along the bottom of the layout. and then i punched out a TON of circles. then i randomly adhered them along both sides of the spread. i used super teeny tiny pop dots to adhere some of the small circles. i don't think i have ever split a title in between the two pages of a spread. no idea why not. it looks totally fine. maybe my next step will be to split a photo in between the two pages. that idea still scares me. lol! geez. i havn't blogged since last year. lol! hope everyone had a great new year's. we had a quiet one here at home. we're already two days into the new year, and i'm feeling so on top of things. even ahead of the game on things too. we'll see how long that lasts. 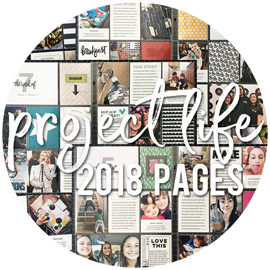 i'm so glad to hear that many of you will be taking on project life this year. sounds like many of you already have your kits, and sounds like i talked some of you into ordering kits. which i love! there were some questions brought up in comments, and some thinking-out-loud comments as well. i do respond to all my comments, one on one. but thought it would be a good idea to come and touch on a few of those here as well, in case it helps anyone else in the process. you've seen this photo before in my last post. but wanted to mention that it's also serving as my day one photo for my album. no, i did not take this on january 1st. but that's ok. it's the perfect shot for my opening photo. and here's my day two photo. i spend the good part of today, working on scrapping assignments. and this was just a shot of my desk, at one point during the day. and yes, thats a sewing machine. after 4+ years, i took it off the shelf it landed on after i purchased it. and i'm using it on my layouts. most of which, i can't share yet. sorry. first up, i wanted to share some links and info that i think are worth sharing. about 2 minutes ago, i saw becky mention on facebook that the extra page protectors and journaling cards are at amazon and available for purchase! i'm really excited about the divided page protectors, since i think they'll make a great addition to my regular scrapbooks. 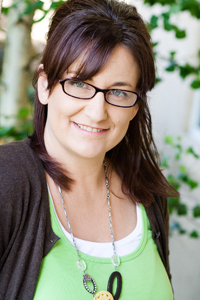 HERE is a video, by becky herself, walking you through the process of setting up your album. her ideas are a lot like how i set my album up too. 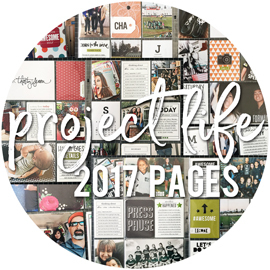 HERE are some additional ideas of what you could use this project life kit for. love the "all about me" idea for a teenager to work on. or the "baby's first year" for a new baby in the house. the "weekly/monthly themes" would be fun. i know a friend of mine is going to incorporate some weekly themes within her album. another way to try this project, is to do the digital version of the kit. the info is HERE. some might find it easier to keep up with this project, by adding photos and journaling on the computer. i'm going to very randomly answer a few Q&A's, or respond to comments made about this project. i'm doing this as a photo-a-day project. which is how i'll be referring to it. keep in mind, this kit can be used in SO many other ways, that don't require taking a photo every day. if that's not what you're up too this year. not sure what day to start your album on? this year, the first day of the year fell on a saturday. most of us view our weeks as sunday thru saturday. so you'll have to figure out what to do with that one extra day. you could switch it up, and do your weeks as saturday thru friday. or you could just ignore january 1st, and start with the second day of the year. or you can simply stick that first day's photo in the title page, like i'm doing. last year, i had two photos on my title page. the year before (shown above), i had three photos on my title page. if you want a definate, defined title page, then you'll have to come up with a plan for that first day. don't live close to anywhere that prints photos and don't print at home? need tips for those that print in BIG bunches and then forget what was what? i would really recommend finding an online photo printing site. there are tons of them out there. shutterfly, winkflash, scrapbook pictures, even costco (membership required). if you can upload and order your prints every other week, at least, that would really make this project easier. if you wait every 2-3 months to do an order, that's a huge amount to catch up on. if this is the only option you have, i would recommend you at least take the time each day to fill out your journaling cards and slip them in the album. and when you upload your photos to your computer, save them as you usually do. but then save each photo again, in a folder for "project life" or "project 365" for each month. rename the photos, with the date the photo is for. most labs will print the image name on the back of your prints. so then you'll have the photo date right there, to refer back too. and if you're journaling cards are filled out, that will also help match them up. how do you figure out which picture to take? when i did my 2009 album, i really focused on getting photos of all the "stuff" that made up our lives. stuff around the house, home decor items, piles on the counters, things in the girls room, etc. just all the little things, that seem like nothing important. but that make up our day-to-day lives. HERE is a list of 365 photo ideas, that was put together by creating keepsakes, when the originaly project 365 was put out. it's got a ton of ideas that maybe we wouldn't think of on our own. is there room for more than one shot that day? there are spots for seven photos a week. but that doesn't mean you can't add more. i have taken two photos, cropped them to 3x4 each, and put them together onto a 4x6 canvas to print. there's an example of this in my 2009 page shown above. an easy way to get two photos in one spot. but you could also add in extra page protectors, if you wanted to include more photos. do you write it from your perspective or that of your family? personally, i write from my own perspective. since i'm the one making the layouts, and telling the stories, i write it from my own view. but including family members in this project is a fantastic idea. i have heard from several people, that are making this a family project. leaving the album out, where the entire family can be involved in it. worried that your regular scrapping will suffer, as you work on this project? this wasn't really a question, but a comment made by my friend megan. i can see how this could happen. some people might find that this project is ALL they want to scrapbook this year. some will do this project, and then fill in with layouts about all the other stuff that goes on. for me, i loved that it allowed me to document SO much of our day-to-day life. i knew that things were touched on, and in the books. and if i wanted to take photos from this project and scrap them on an additonal layout, than more power to me. it takes away the pressure to scrap every photo from the year, and lets you focus on scrapping the ones that you really want to take the time to scrap. does this make sense? have you completed this project the past year or two years, and feel like you need a break from it? that's actually how i felt last year, after doing the 2009 album. but i found that i took less photos this past year. and i feel like i don't have that much to remember 2010. i have the big moments, the events. but not the little stuff. i miss that. but this project doesn't have to be a photo-a-day project. if that's how you've done it previous years, switch it up. instead of an entire week on a 2 page spread, do an entire month. choose your favorite photos each month, add them in, and journal about them. you could even mix regular layouts right in between the pages. i think that's it for now. that was a lot of typing, and i've sort of lost track of what i chatted about and what i didn't. if there's anything else you're curious about, or want my thoughts on, feel free to ask.